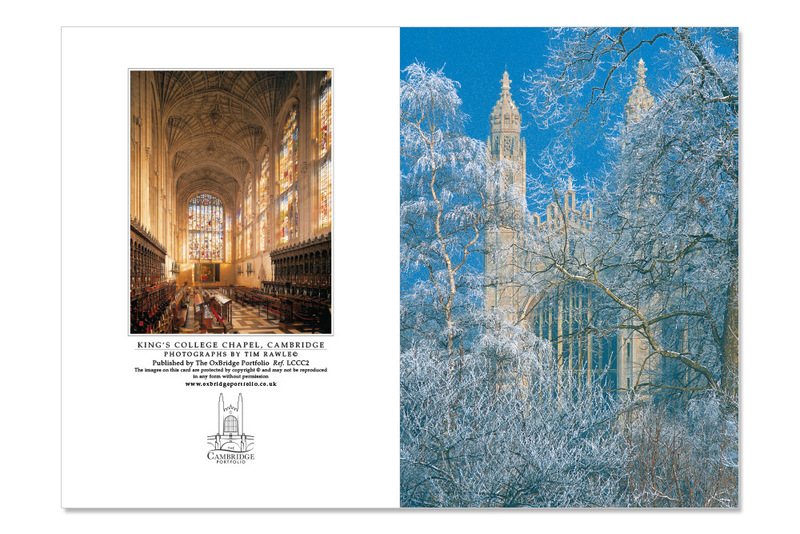 Cambridge Customised Christmas Cards | The Oxbridge Portfolio Ltd.
Cambridge is known world-wide for the beauty of its university and colleges, but it is rarely seen in such winter splendour as in this unique collection of images by Tim Rawle, created over the last 25 years. 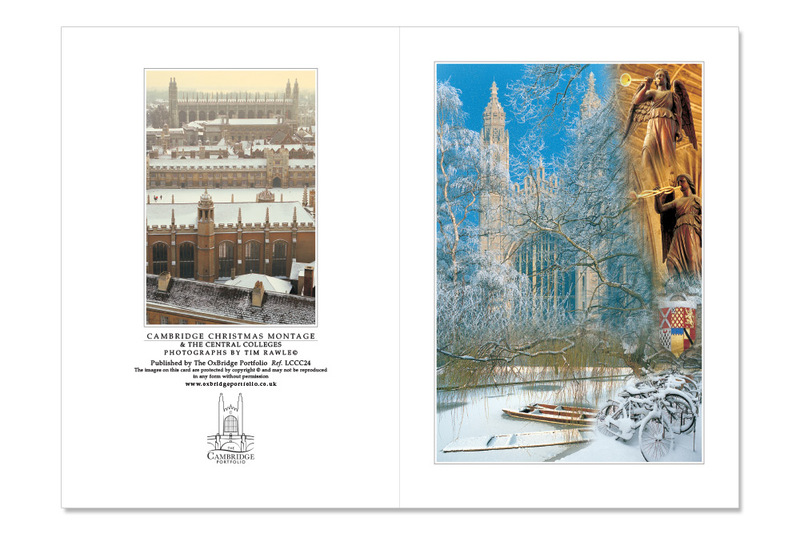 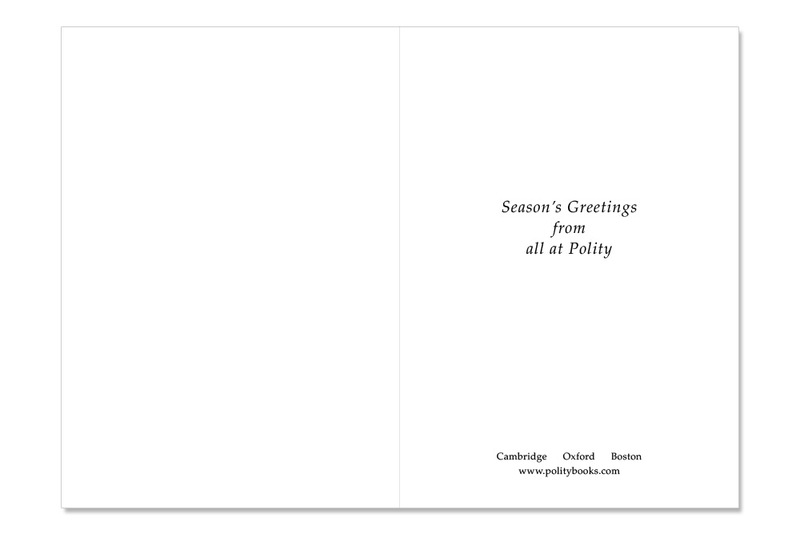 Our Customised Christmas cards show Cambridge at its most beautiful, and are ideal for personal greeting and company promotion. 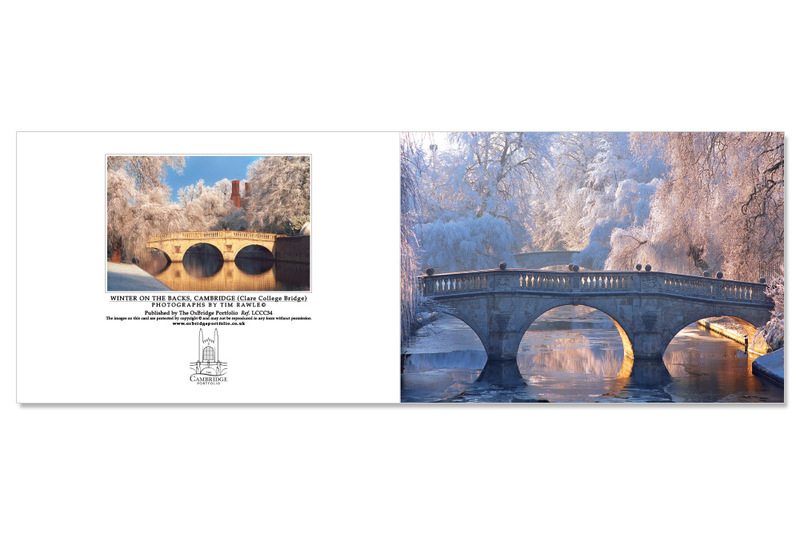 There are 22 card images, most offered in two different design styles (framed or bled, View The Collection), giving a choice of 40 cards in total. 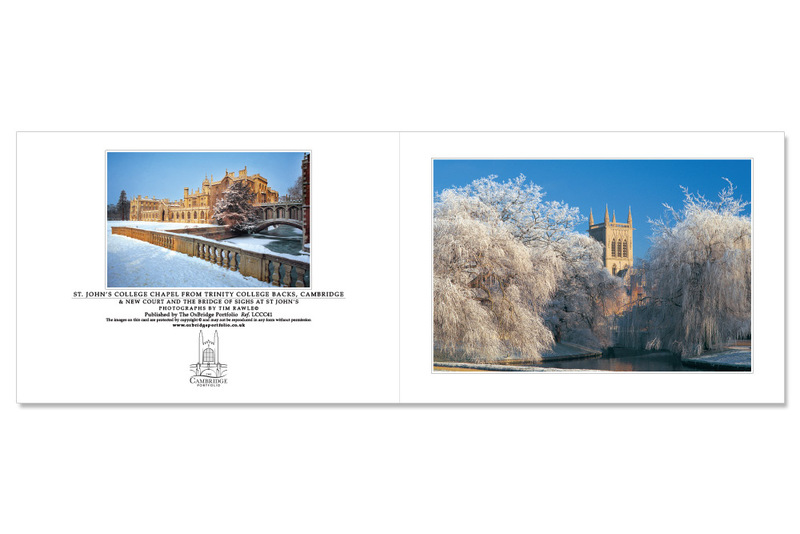 The card dimensions are A5 (210x148mm) and the cards are printed in full colour, with the main image on the front and a smaller related image on the back (see slideshow examples below). 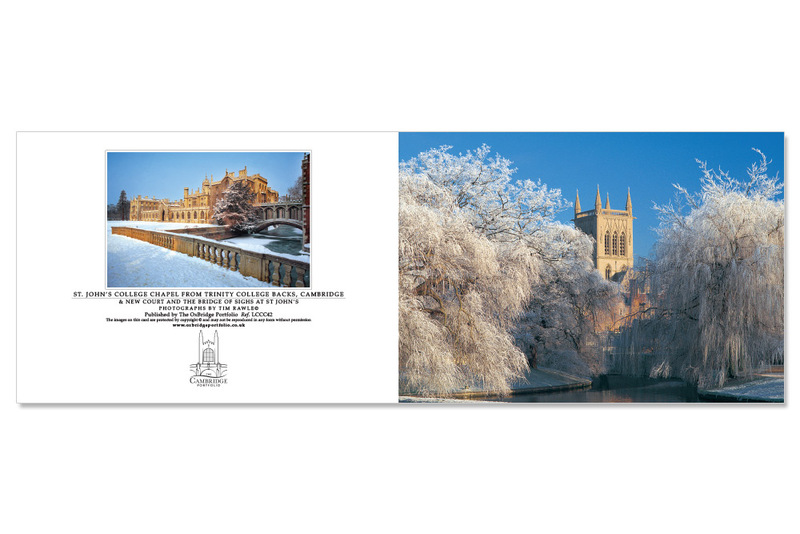 On the inside pages you can have your message and any other information or image you want to include, such as signatures or a company logo. 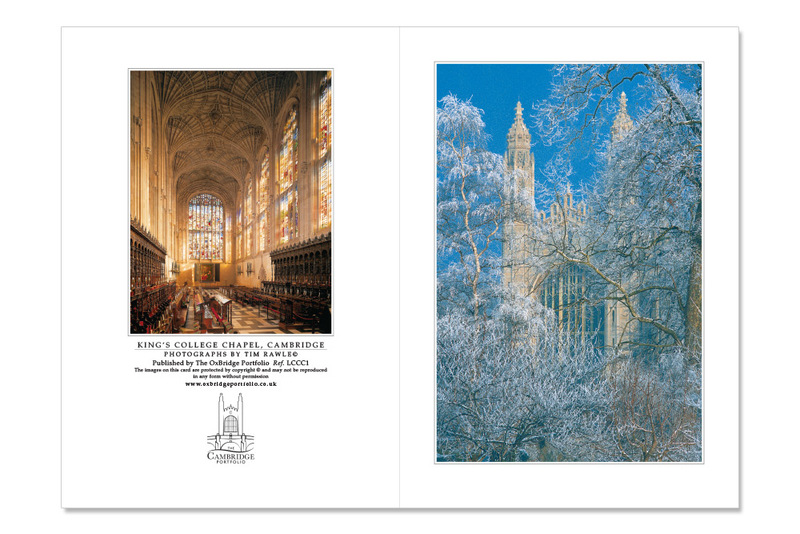 On the inside pages of the card your message and/or image can be printed in any colour combination (see slideshow examples below), all included in our pricing. 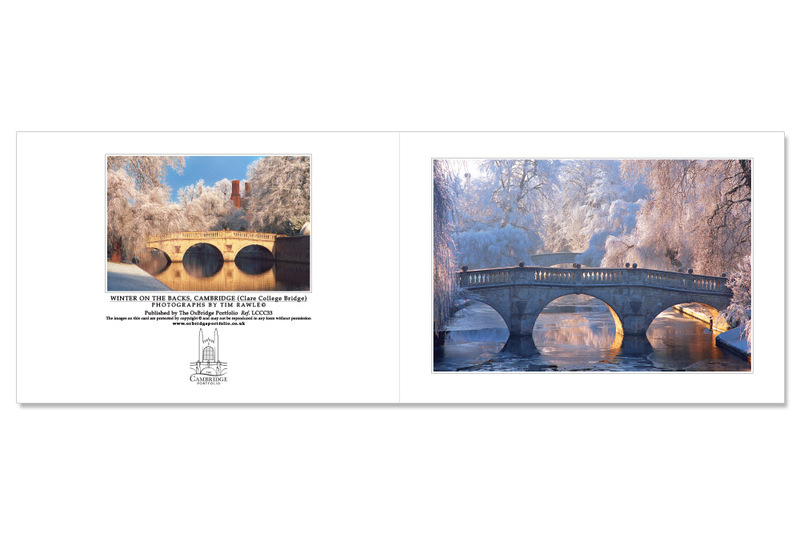 You can either supply your own artwork as a print-ready file (single page dimensions = 210x148mm), or we can create the artwork for you from your supplied text and image(s) at no extra charge, emailing you a pdf proof for your approval. 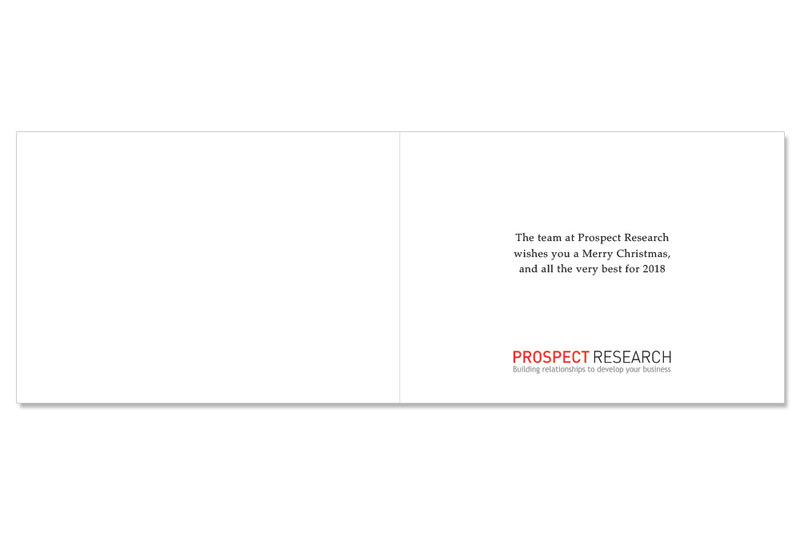 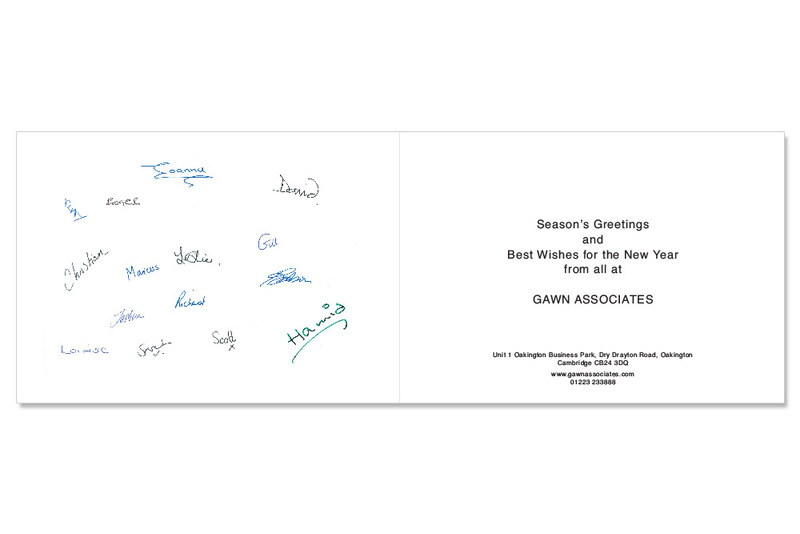 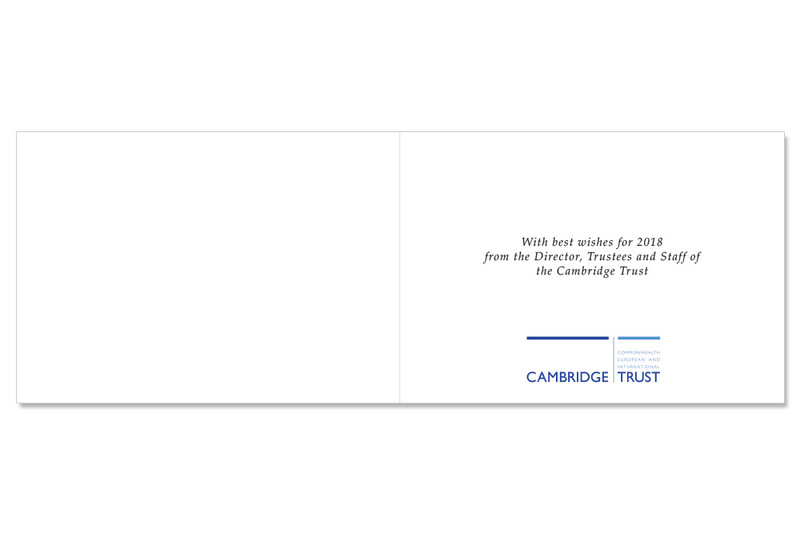 Please provide your message text on the final check-out page in the ‘Card Messages and/or Order Notes’ box and email any images, such as signatures or a logo, to orders@oxbridgeportfolio.co.uk giving your order reference number. 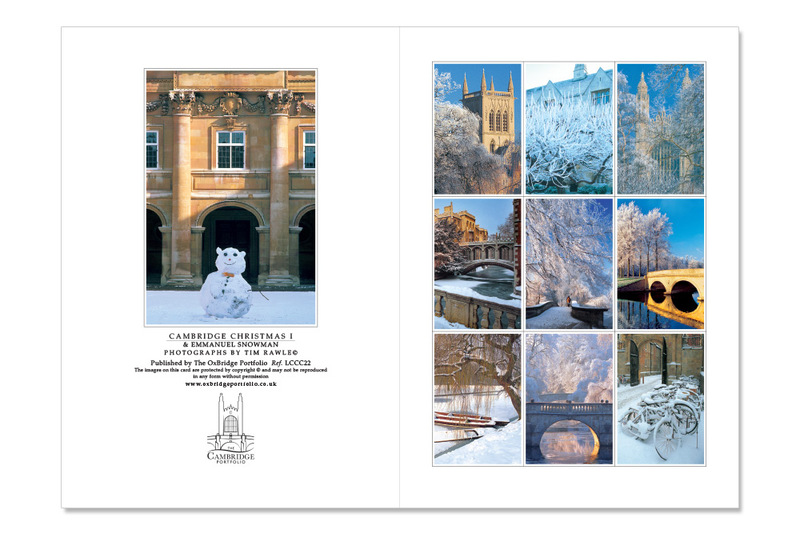 The prices above are per card covering all printing including your personal message, envelopes and delivery to a UK address (+20% VAT added automatically at checkout). 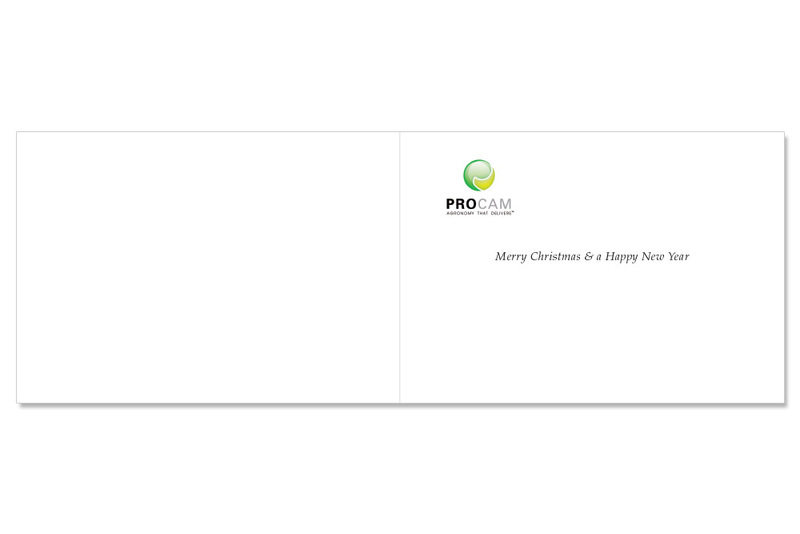 Cards are also available blank inside, but there is no difference in price. 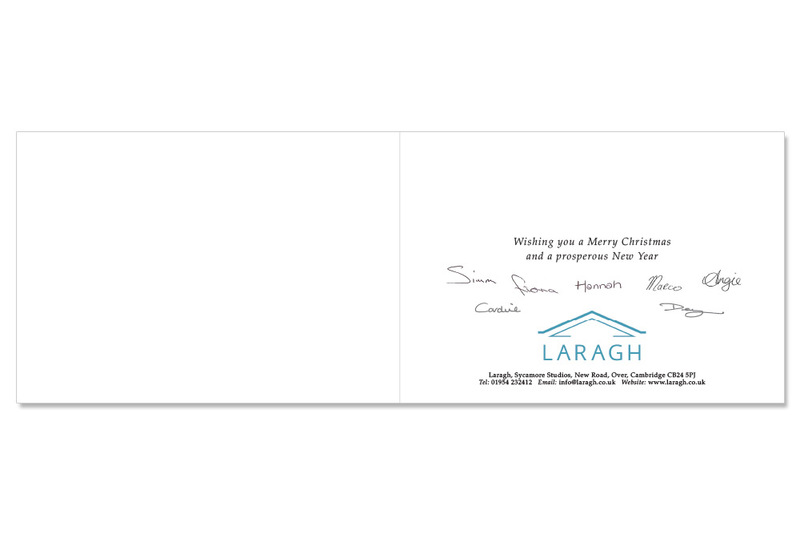 Our minimum order quantity is 100 cards per design. 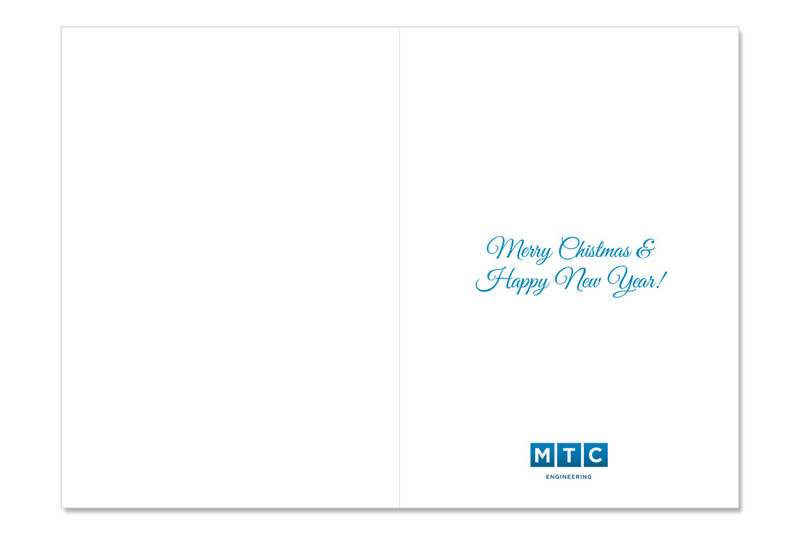 If you wish to choose a mixture of cards, the minimum of any one card is 100. 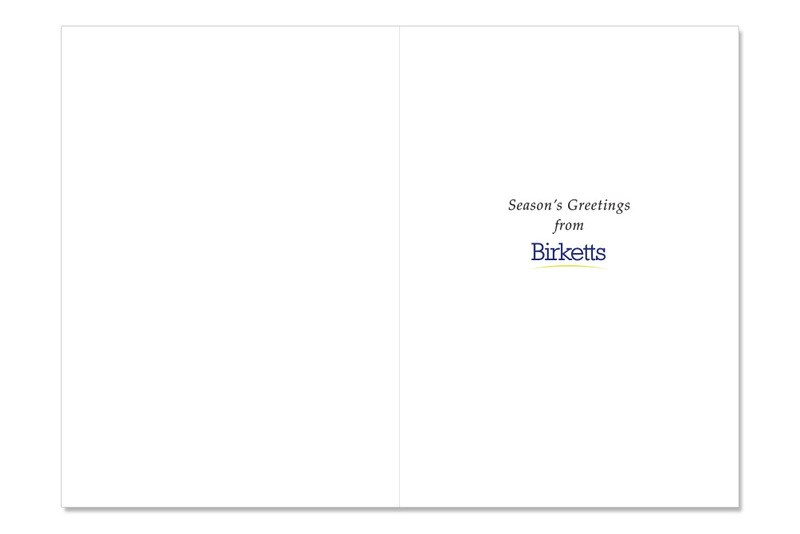 Please allow a minimum of 14 days for delivery, or let us know if your order is urgent.